“BROTHERS WIN MILITARY HONORS” The Herald (Melbourne, Vic. : 1861 – 1954) 11 November 1916: 6. Web. 19 Jun 2018 <http://nla.gov.au/nla.news-article242462371&gt;. Frank Lodge was a son of James Lodge and Ellen Murphy and was born at Stawell in 1887. James Lodge was a stonemason, working in a partnership called Lodge & Timmins. The Lodges remained at Stawell until around Frank was five in 1892 when they moved to Hamilton, taking up residence in Clarke Street. 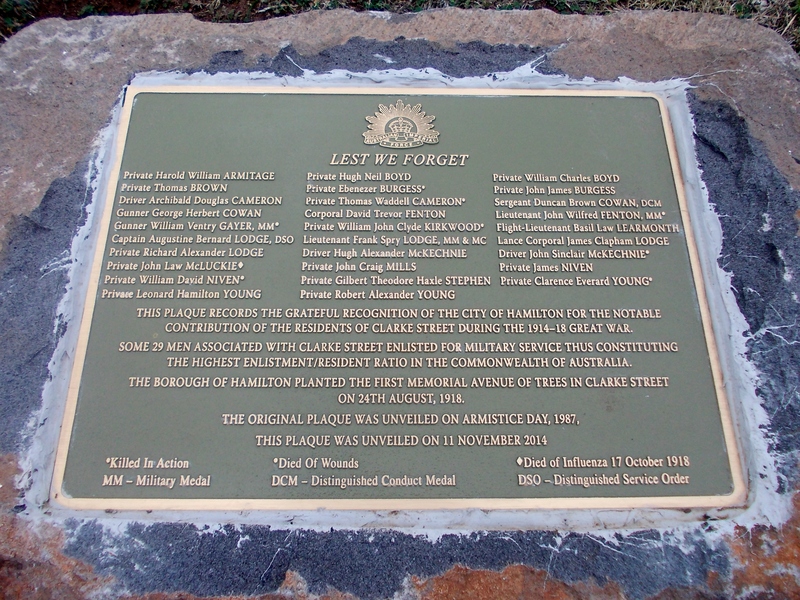 James continued as a stonemason, working on many buildings in Hamilton and the surrounding towns. Frank attended St Mary’s Convent School and when old enough, went to work with his father. He also joined the local branch of the Australian Natives Association and played football for North Hamilton Football Club. During April 1914, James Lodge was working on the reconstruction of the former Wesleyan Methodist Church in Clarke Street. On 21 April, Frank and his brother James Jr. were working on the church with one of their father’s employees, James Brokenshire. While lifting a large block of bluestone up to scaffolding, the scaffolding collapsed with Brokenshire and James Jr., falling on to a pile of bluestone below. The block of bluestone fell on their legs. There was immediate concern for James Brokenshire and Frank ran to the nearest phone to call the doctor. Little could be done for James Brokenshire and he died later in hospital. Frank gave evidence at the James Brokenshire’s inquest. WW1 started in August 1914 and it wasn’t long before Frank’s younger brother Augustine Lodge, known as Gus enlisted and left overseas with the 8th Battalion. Five months later, on 29 March 1915, Frank enlisted at Hamilton and on 10 May 1915, left Australia with the 22nd Battalion, serving as a Private. 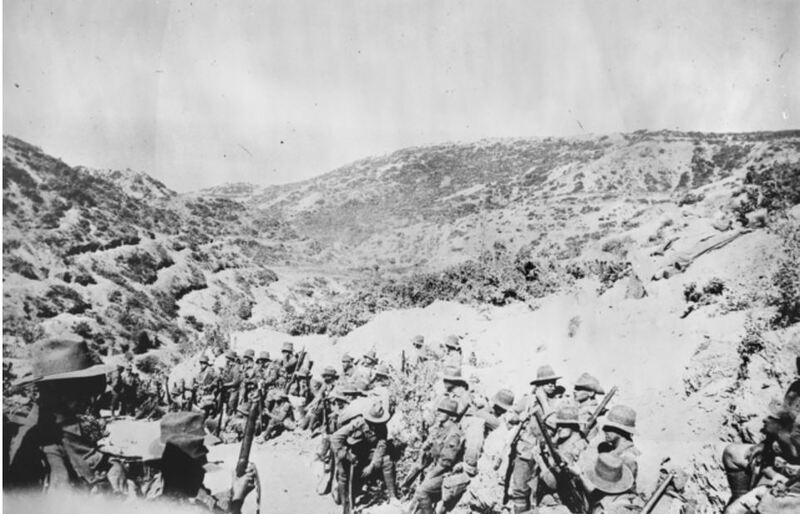 The 22nd Battalion arrived in Egypt and by 2 September 1915 were at Lemnos preparing to move to Gallipoli. While there, Frank received a promotion to Lance Corporal on 4 September 1915. The 22nd Battalion arrived at Gallipoli on 5 September at 6:30 am. (below). Gus Lodge had been at Gallipoli but by the time Frank arrived, Gus was in hospital in England with wounds to his arm. On 10 October 1915, Frank received a promotion to Corporal and it was not long before the 22nd Battalion evacuated to Lemnos and then Alexandria, Egypt on 27 December 1915. On 16 March 1916, while at Moascar, Egypt, Frank transferred to the 2nd Pioneer Battalion an engineering unit, perfect for Frank with his construction background. The move also brought a promotion to Sergeant and left for France arriving on 26 March 1916. 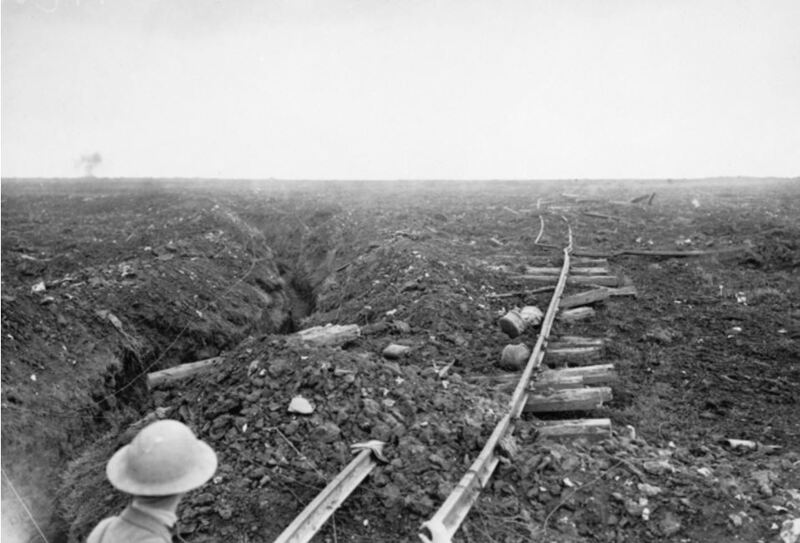 On 29 July 1916, the 2nd Pioneers were in Pozieres and had commenced working on a communications trench known as “Centre Way” running to Pozieres Wood. Their work was not helped by the enemy as the Germans bombarded the area. Overnight on 4 August, with their section almost complete, Frank stood in the open above the trench not only giving directions to his men but urging them on. 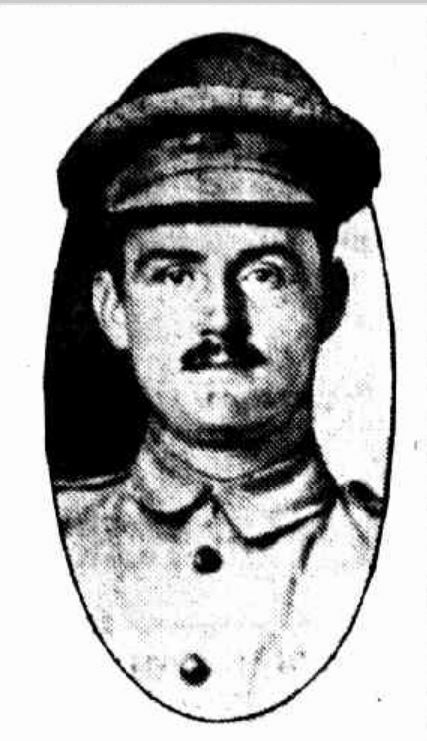 Only a week earlier, the gallantry of Frank’s brother Gus at Pozieres earned him a Distinguished Service Order but on 18 August, Gus was severely wounded and for two weeks dangerously ill. Six days later, Frank received a gunshot wound on 24 August and transferred by train to hospital in Boulogne. While there, he received a promotion to 2nd Lieutenant. On 10 September, Frank moved to base duties then returned to the 2nd Pioneers near Ypres, Belgium by the end of September, receiving a promotion to Lieutenant on 26 November 1916. On 4 February 1917, while at Contalmaison, just south of Pozieres, Frank received a shell wound to the scalp but only remained in hospital until 19 February. Meanwhile back in Australia, on 28 June 1917 Frank’s brother James enlisted and then brother Richard on 4 August, both joining the 2nd Pioneer Battalion. In France, Frank Lodge received news he was seconded for duty with the Pioneer Training Battalion in England and arrived on 1 August 1917. He remained in England for five months before returning to the 2nd Pioneers on 12 January 1918 then at Nieppe, France. During mid-June 1918, Frank came down with influenza and hospitalised. On 4 July, orders came through for Frank to take three weeks sick leave in England. At home, Frank’s youngest brother Frederick died on 20 June and on 31 July, father James Lodge also died. At a ceremony on 24 August 1918, relatives and friends planted trees for Frank, his three brothers and father James as part of the Clark Street Avenue of Honour. For conspicuous gallantry and devotion to duty during operations incidental to the advance from Dompierre to east of Mont St. Quentin. As O.C. of a company he did excellent work in clearing and repairing roads immediately in rear of the advancing infantry. 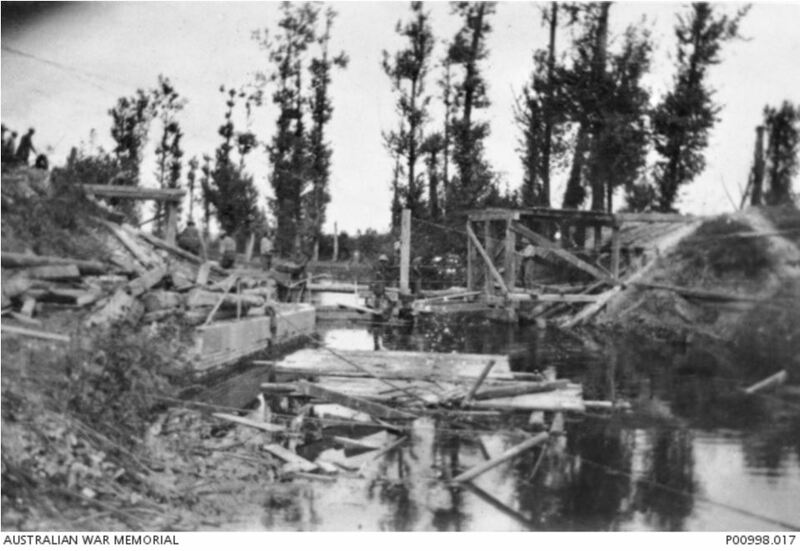 On 31 August 1918, Lieutenant Lodge was instructed to reconnoitre the river Somme in the vicinity of the village of Halle with a view to constructing bridges to afford passages to the Infantry. He went ahead of the Infantry Outposts, got over the main canal and examined an old German bridge which had been partially destroyed. Finding a gap of about 14 feet, he pushed a spar over the gap and attempted to cross but disturbed a German sentry on the opposite bank who opened fire, and ran toward the village. As Lieutenant Lodge was fired at by machine guns. from the south side of Halle he returned. The information gained by this reconnaissance was of great value. That night he got material carried to the site and proceeded to reconstruct a demolished road bridge and remained in charge of the work until completion the next evening, although immediate vicinity was heavily shelled all day. Later he did further valuable reconnaissance work and rapid bridging.. The bridge building continued in earnest as seen below. Plans of bridges built by the 2nd Pioneers over the River Somme are available to view in the battalion unit diary on the link here. By the end of September 1918, Frank left France arriving back in England on 29 September 1918 and only a month later was sailing for Australia. During the voyage, Frank was admitted to the ship’s hospital with a wound to the head on 7 December and not discharged until the ship arrived at Adelaide on 15 December 1918. Lieutenant Frank Spry Lodge M.C. M.M. was discharged from the AIF on 12 April 1919. Frank returned to work as a stonemason and by June 1919 he had won the contract to build an ornamental lake at Preston’s Edwards Park. He employed returned serviceman as labourers for the job. He then went into partnership with his brothers James and Richard and later Gus, calling themselves Lodge Bros. In 1923, Frank joined another partnership when he married Eileen May Coleman. They settled in Canterbury went on to have seven children. 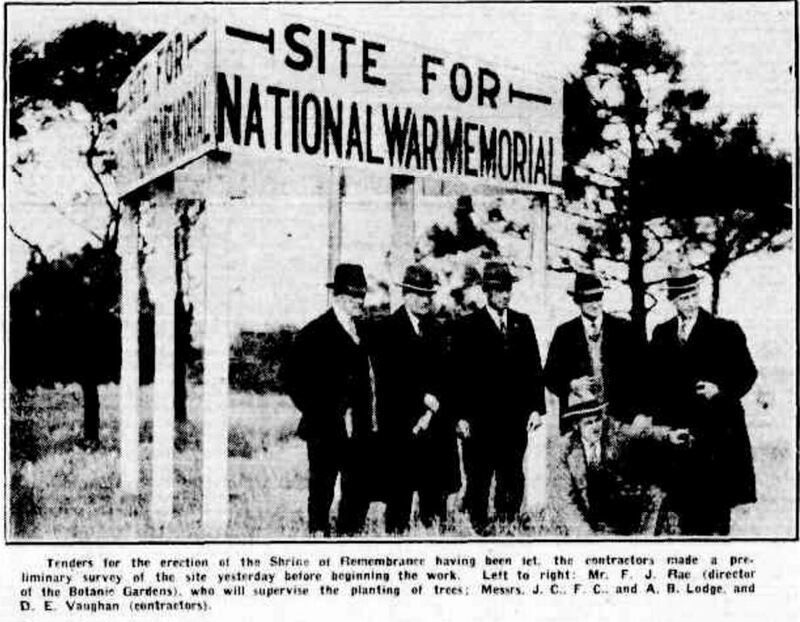 In 1928, Lodge Bros. won the contract to build Melbourne’s Shrine of Remembrance which they did using the labour of returned servicemen. The shrine was one of many war memorials constructed by Lodge Bros. during that time. Frank Lodge died at Heidelberg Military Hospital after a period of illness on 8 May 1952 aged sixty-three.